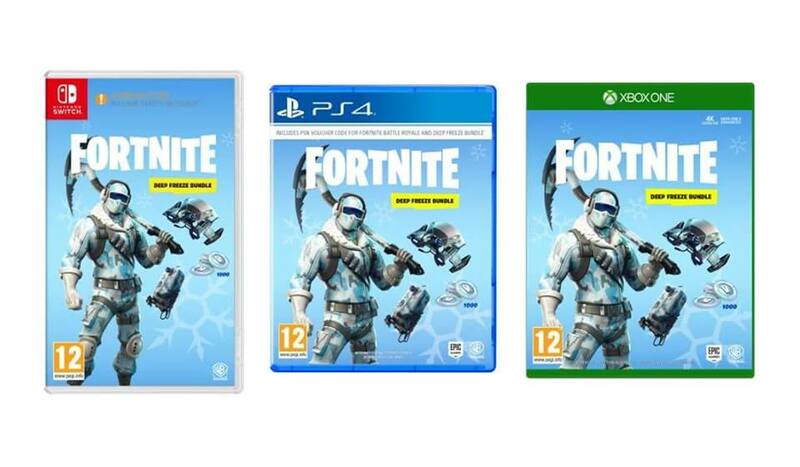 Epic Games and Warner Bros. Entertainment have revealed the official boxart for Fortnite: Deep Freeze Bundle, announced earlier this morning for Nintendo Switch. While the boxart looks close to the official artwork published today, there’s an orange exclamation mark beside the Nintendo Switch logo. We can’t make out the text, but believe it says that a code is included inside the box to redeem the goodies that the bundle offers. At least it’s not as obnoxious as the download required banners.